Faridabad Based bike customization shop MC/BC Studio has made several custom bikes in recent times. Currently they have built a tracker bike known as Droid. 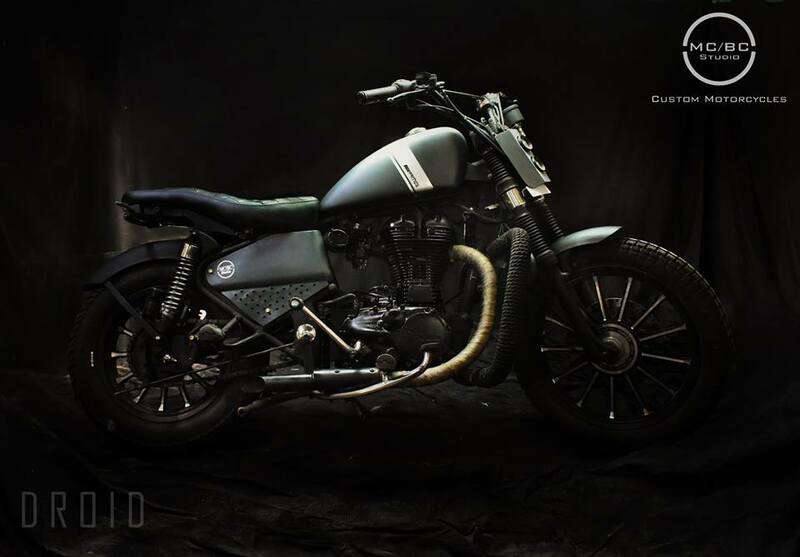 It is built on a Thunderbird 350cc. 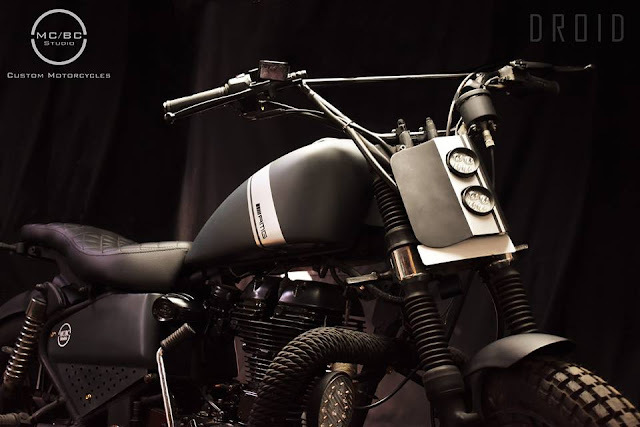 The tank they made is a replica of Harley Iron 883, the front tyre used is 90mmx19" and the rear one is 130mmx15" with a tyre hugging custom mudgaurd. Only the chassis, engine and the suspension is stock in this design, most of the other parts are custom made. They had made this motorcycle in two color combos - one is this matte gray and black combo and the other is a glossy red fuel tank with rest of the bike in matte black.